Soulful Prairies is a place where horses can just “be”. We have worked to create an environment that is natural, comfortable and has all the amenities that a horse needs. The grounds offer paths that cover our eighty-acre parcel of land for walking with your retired horse and enjoying the natural beauty of the property. Stop by and pick an apple from one of the trees in the fall or pull a carrot from the garden for a treat. The indoor arena is available at times but is also used for retreats and coaching. You are welcome to attend any of our equine clinics and create an even stronger bond with your four-legged friend. Each horse stall has an indoor and outdoor area. The horse barn is not heated but has infrared light to take the edge off in extreme weather. There are five acres of fenced paddocks which we rotate the horses through to maintain the appropriate balance of grasses. Pesticides are not used on the property or in our homegrown hay that the horses are fed. Our large paddocks have run in shelters that are created to minimize wind and ice and have ventilation for hot summer days. We will create a file folder for each horse where details about dental work, veterinarian visits, shoeing, unusual stall rest and all other pertinent information will be documented. You may add your own notes or special instruction about supplements, medication or any other concerns or needs your horse may have. 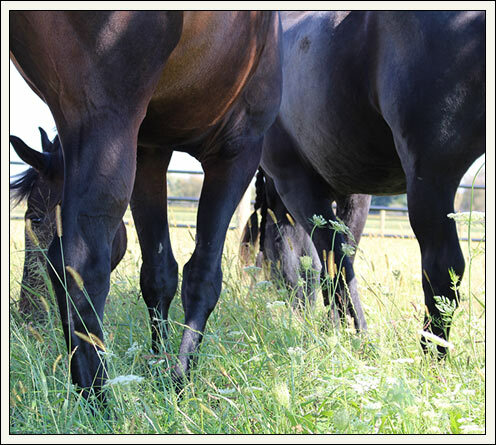 Over the years we have collected a wonderful caring group of equine health practitioners that we are happy to share with you and coordinate visits with. "Fritz is so happy at Soulful Prairies. I am so thankful that Linda cares and loves him and all the horses there, as if they were her own." ~ Lynne R.